UTOPIAN: Many in the anti-fracking brigade in the US, UK and Australia’s east coast oppose industrial development of any kind. Fear and loathing should never be allowed to override science when it comes to industrial development. As a West Australian living on the east coast it is easy to see that WA is again leading the way in sensible resource development. In NSW and Victoria there is real fear of a gas shortage in the near future, caused by offshore demand and supply being strangled by political activists. Price rises for business and consumers and serious difficulty for gas-dependent manufacturers are the likely results. The sad fact is there is plenty of gas to satisfy both offshore demand and domestic needs -- with benefits for the national economy and regional communities -- but activists are preventing the resource from being developed. It would be a shame if the fearmonger misinformation now apparently spreading west were to get in the way of responsible development of resources which have clearcut economic and environmental benefits. As Mark Pownall writes, this topic warrants a serious examination of the facts and the science -- not a quick viewing of a propaganda film or the latest rants in social media. As with all resource development, careful assessment and monitoring is needed -- and people are entitled to insist these disciplines are followed with the development of natural gas reserves. However, they should not be indulged if all they seek to do is block responsible development for their own dogmatic satisfaction, at the expense of consumers, the national good, and a positive contribution to reducing growth in global greenhouse gases. 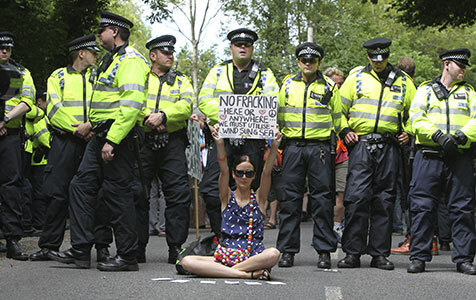 Read the Fracking debate article by Mark Pownall nicely done. I agree with you 100% Mark.